CNC milling is a fast and precise service to remove material in all three dimensions to achieve the desired part shape. 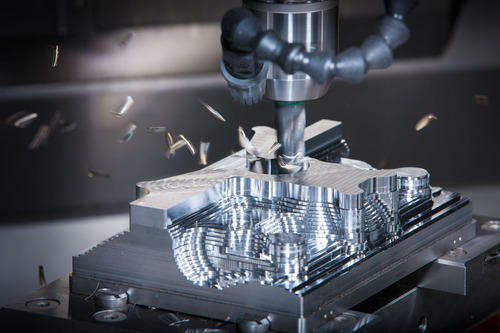 Our CNC milling capabilities cover the wide range of requirements, including vertical milling, custom milling, etc. We process metals and most hard plastics, including Iron, Aluminum, Copper, Stainless Steel, Carbon Steel, Brass, Bronze, Titanium, Sterling Silver, Nylon, Acetal, Polycarbonate, Acrylic, Polystyrene, Fiberglass, Carbon fiber, PTFE, ABS, etc. Our company provides mechanical assembly services to help clients increase efficiency and reduce lead time and costs. These savings help our customers win the competition. Our full-service approach provides client with a single source for all assembly requirements - from small sub-assemblies through large machinery. A trusted name, Engineering Hindustan is a renowned manufacturer & exporter of Mechanical Clutches, Electromagnetic Brakes, Clutch Brakes, Telescopic Brushes and Inserts, Electromagnetic Clutches, Failsafe Brakes, Thrustor Brakes and much more. We also providing Turnmill and CNC Work. Our range is widely appreciated for their durability, high performance and reliability. All of our products are supplied using quality tested raw material and are known for their excellent performance, reliability and longer service life. Today, we are significantly contributing to National Development with our high-quality engineering products. Our product is marked by standard design, reliability, controlled start-ups and stoppage of the machinery, efficiency and durability. Price is another factor that makes our products the best choice for motion control applications. As we have entered yet another decade, we have fresh plans to maintain the quality of our products and services. We Export our product in Australia, UK, Germany, Spain. We are looking for Export Inquiries from all over the world.